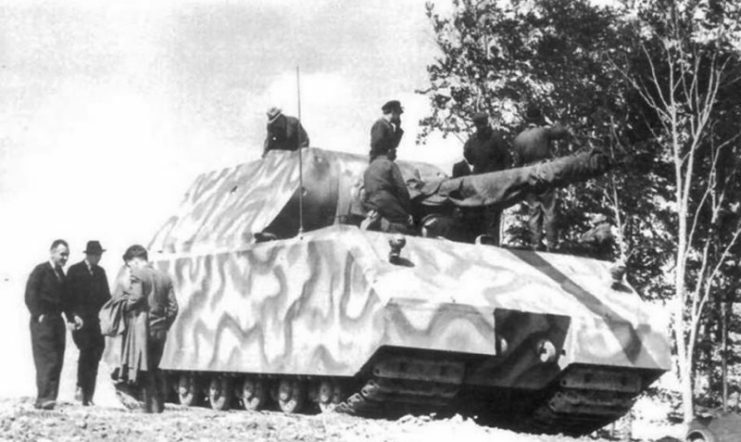 The Third Reich repeatedly attempted to create a super heavy tank. However, for a number of reasons, they were unable to organize their mass production to do so. 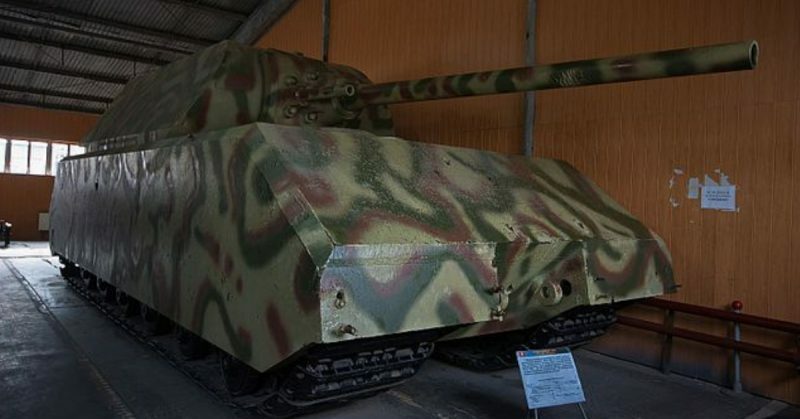 Their only super heavy tank model was the PzKpfw VIII Maus, and during its production in 1944-1945, two models were created that did not have the opportunity to take part in battles. 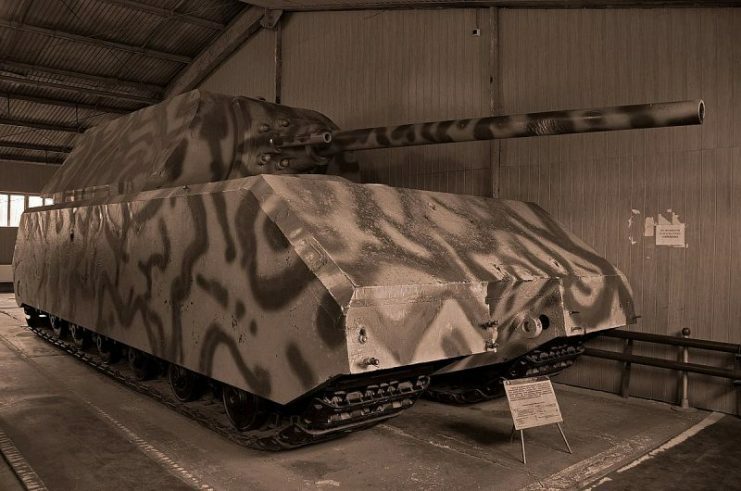 At the initiative of Hitler in late 1942, the development of a “breakthrough tank” or “Porsche 205” began, protected by the maximum possible amount of armor and armed with a 150 mm or 128 mm caliber gun. 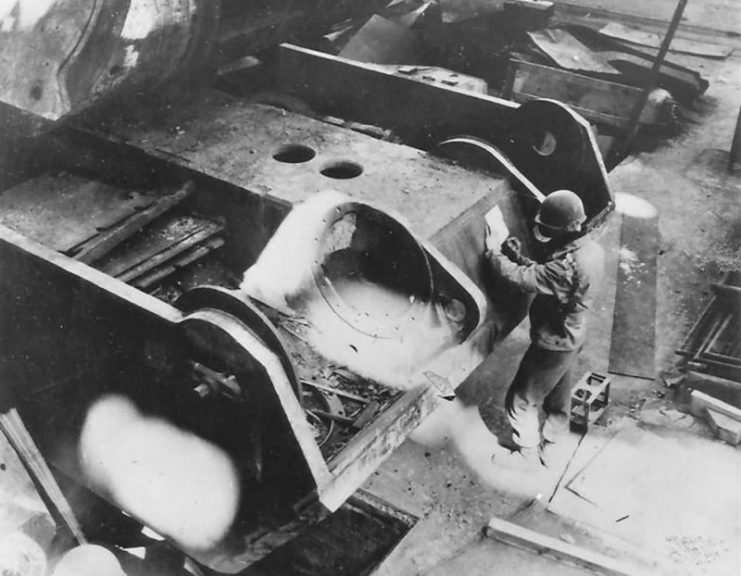 Multiple companies took part in the creation of the tank: Daimler-Benz was responsible for the engine, and Krupp manufactured the hull, tower, and the Siemens elements for the transmission. 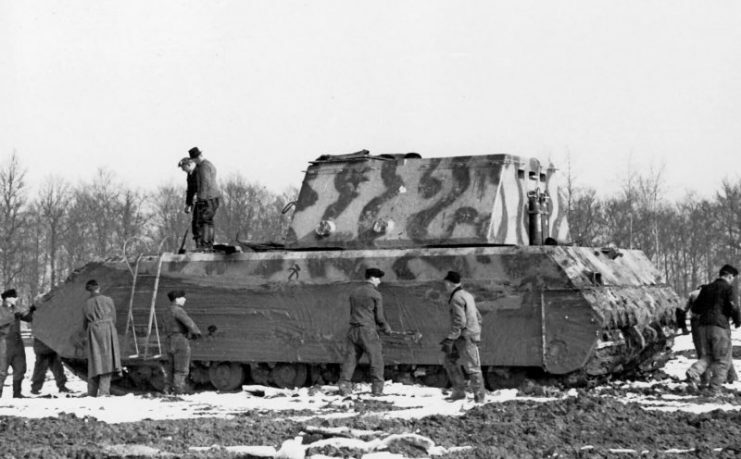 Panzer VIII Maus at Boblingen 17 March 1944. 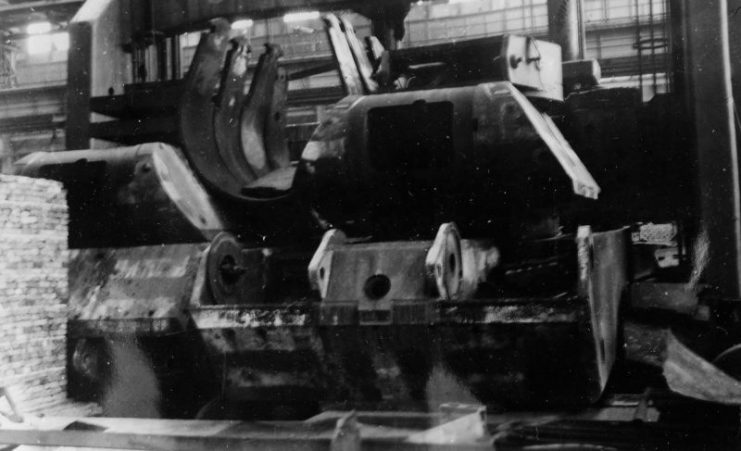 Assembly of all components of the tank took place at the factory of the firm Alkett. 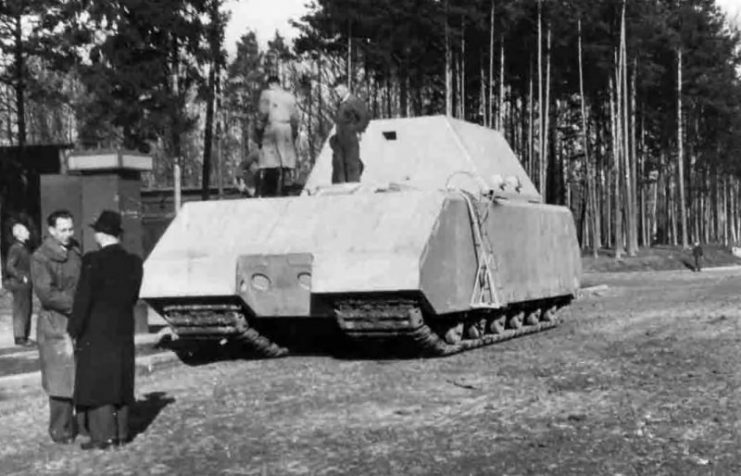 The project was developed by the engineer Ferdinand Porsche, and was partially implemented in the form of two prototypes of the Maus tank (205/2 and 205/1) in 1944. 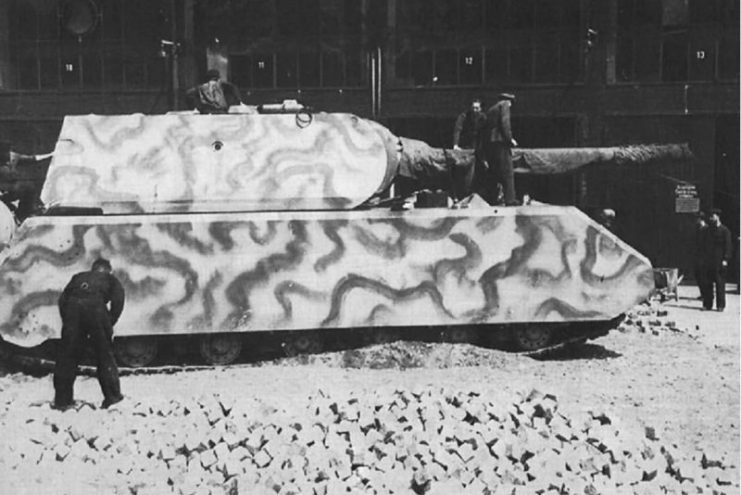 A full-size wooden model of Maus was presented to Hitler on May 14, 1943. 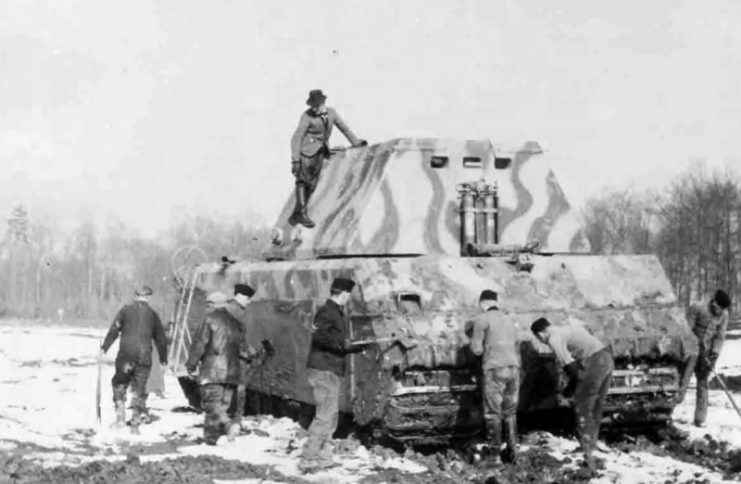 In December 1943, trials of the first prototype were carried out. 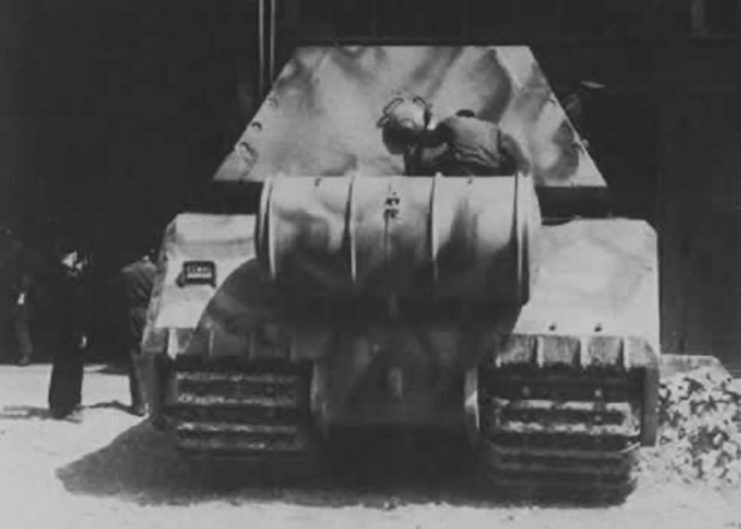 Soon after testing, the tank was equipped with a real tower for artillery shooting and a full set of internal equipment. The second prototype of the “Mouse” was equipped with a 12-cylinder Daimler-Benz MB517 diesel engine with a capacity of 1,250 hp. The first prototype had had a gasoline MB509 V12 (DB 603) engine with a capacity of 1080 hp. 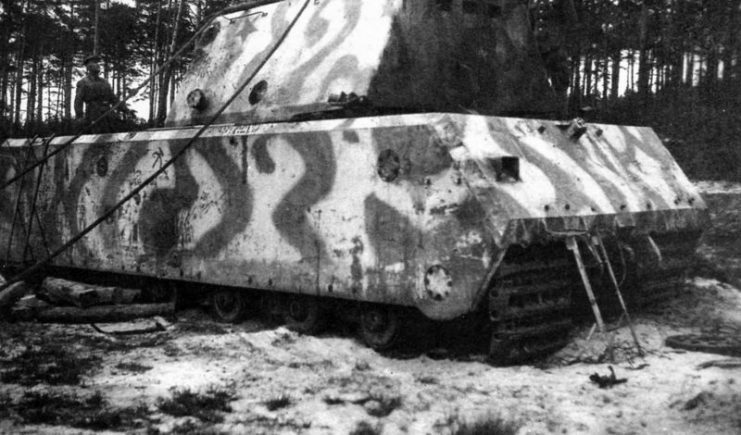 The Maus’ maximum speed over level ground was just over 12 mph. 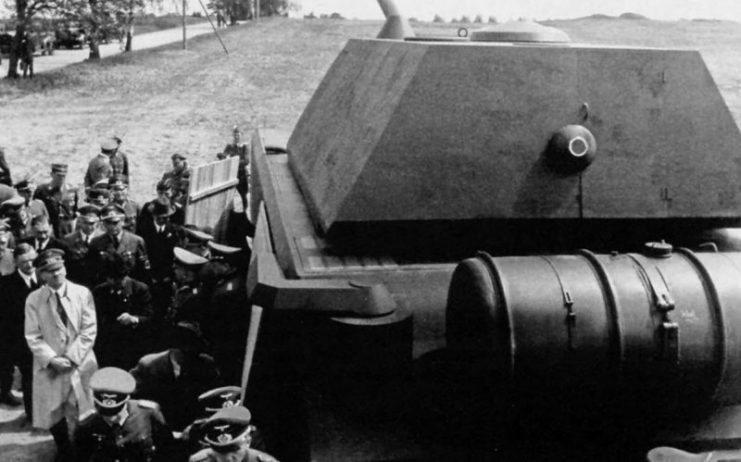 The crew of the tank consisted of six people. 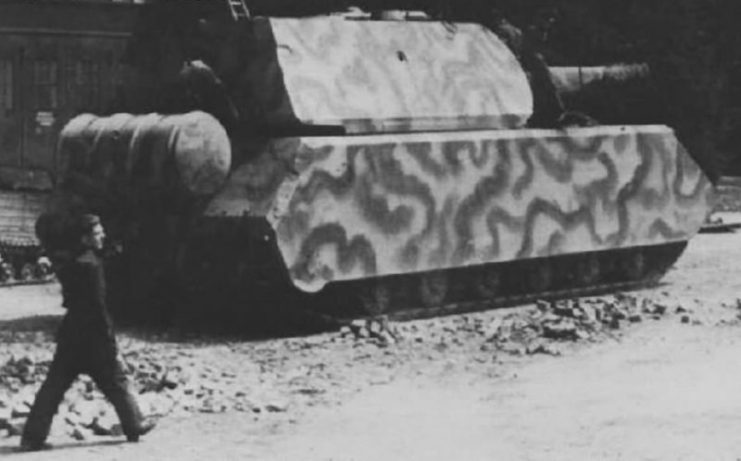 Fuel tanks with a capacity of 420 gallons each allowed the Maus to travel from 38 to nearly 100 miles, depending on the terrain. 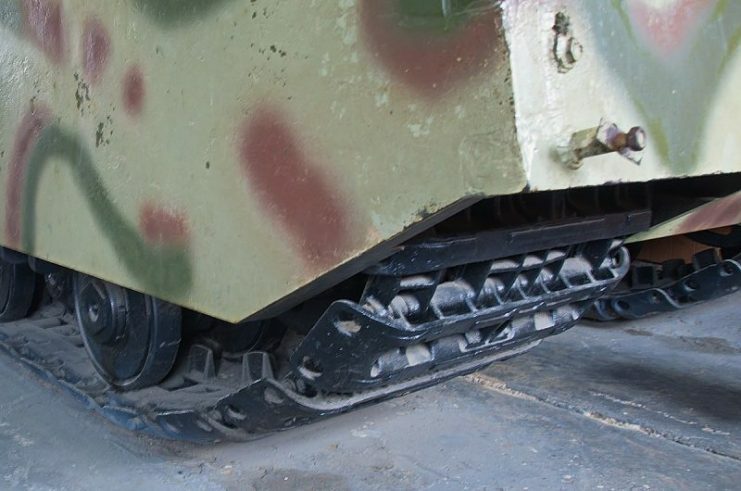 The main features of the tank were the electromechanical transmission of both tracks, and a powerful circular armor whose thickness began from 5.9 inches (150 mm) and ended at 8.7 inches (220 mm). The mask of the gun was 9.8 inches (250 millimeters). 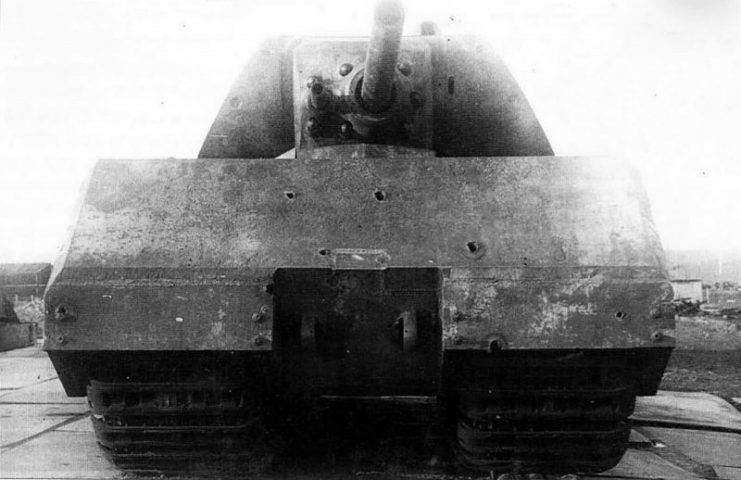 A 128-mm KwK-44 L / 55 anti-tank gun was installed on Maus and was an important characteristic. Additional weapons consisted of a 75-mm (3-inch) KwK 44 L / 36.5 gun with 200 rounds of ammunition. There was also a MG 34 7.92 mm caliber machine gun, and the possibility existed to install an anti-aircraft machine gun. 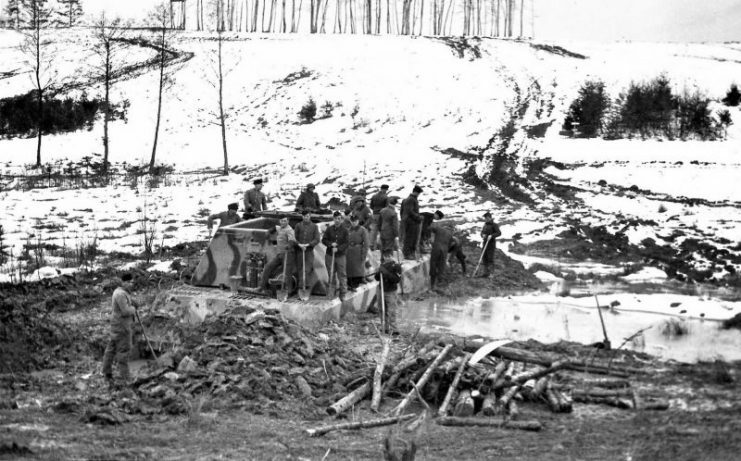 The tank’s weight of 180 tons prevented it from driving across bridges. For this reason, it was planned to enable these tanks to travel along the bottom of rivers by sealing them and protecting their power supply. 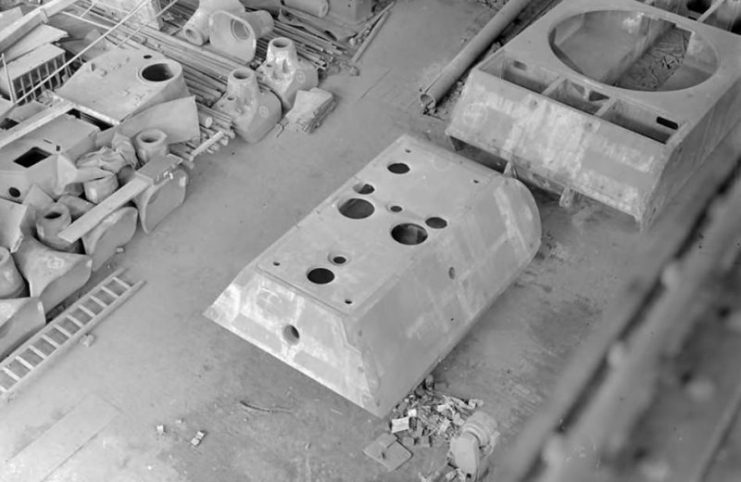 The original plans to create 10 PzKpfw VIII Maus tanks on Hitler’s orders were terminated, due to lack of production capacity, so the Germans failed to test the Maus tanks in battle. 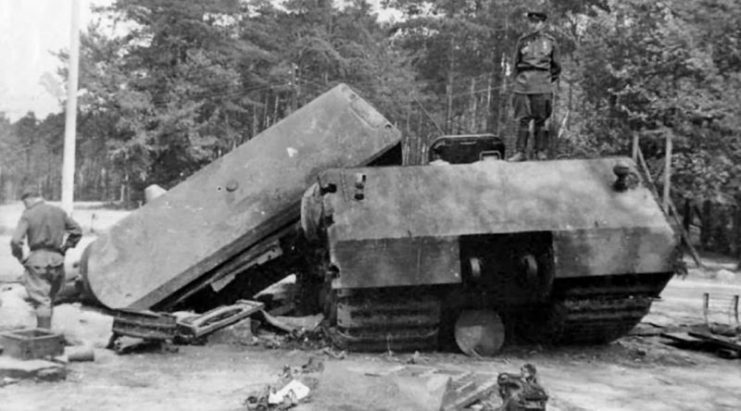 In April 1945, as the Soviet Red Army approached, the German command decided to destroy the prototypes. 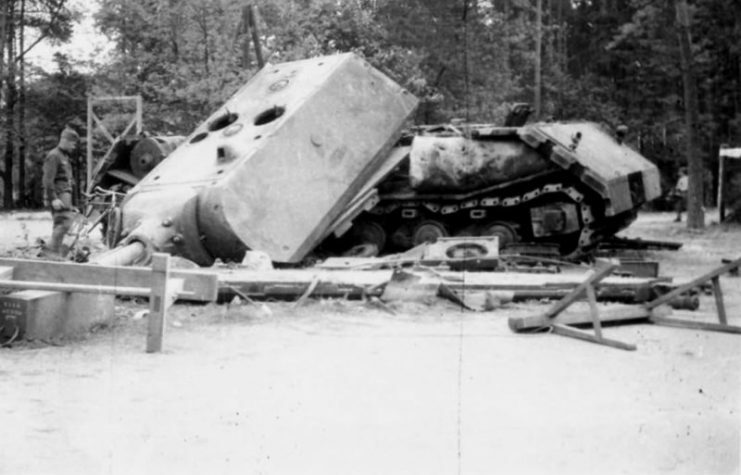 Both tanks were blown up, but only one of them was significantly damaged. 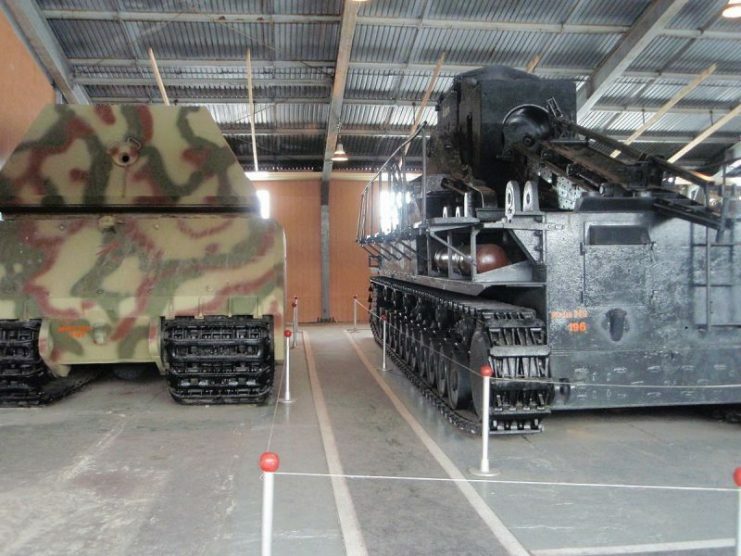 Soon one of the two damaged tanks was reassembled, and on May 4, 1946, it was delivered to the Kubinka test site in the USSR. 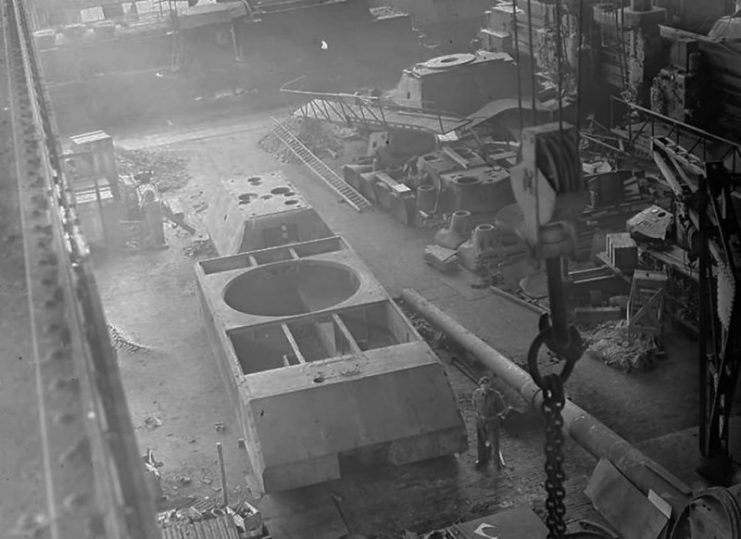 After testing, all of the tank’s internal equipment was dismantled. 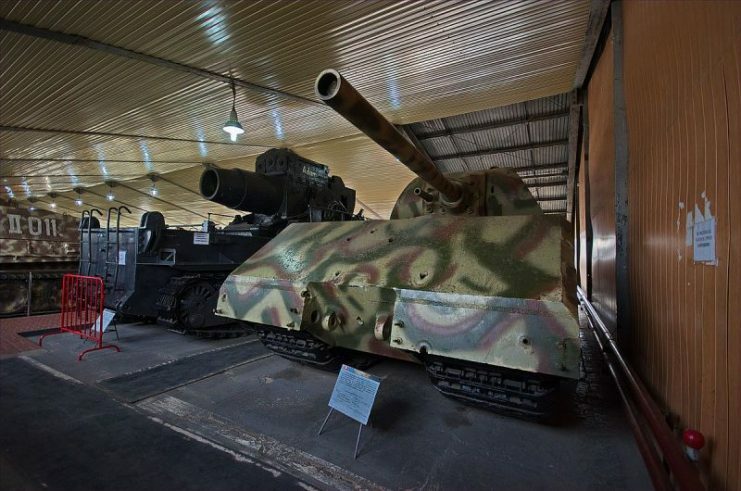 Currently, the Maus can be seen in the Military-Historical Museum of Armored Vehicles and Equipment in Kubinka, Russia. 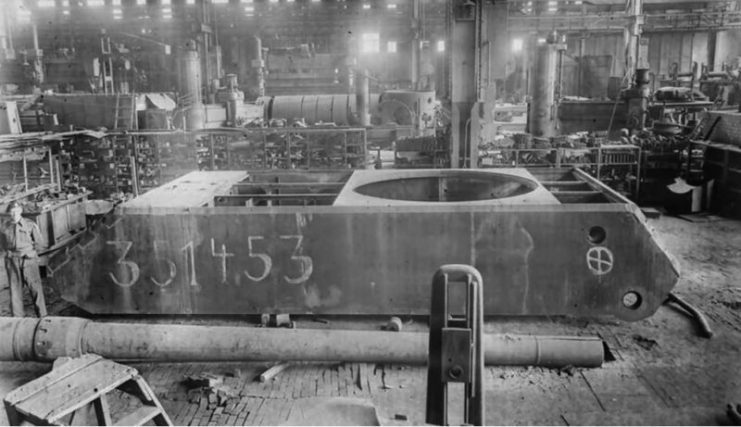 Maus turret at the Krupp factory in Essen, 1945. 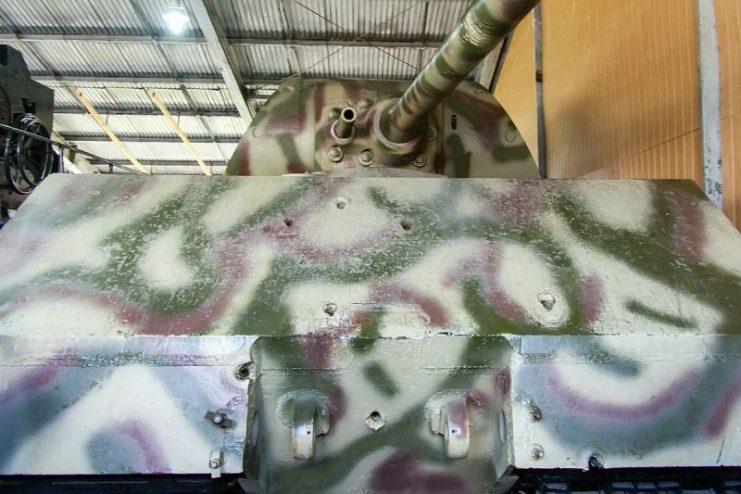 Rear view of the Panzerkampfwagen VIII Maus at Kubinka Museum.